For the one who gets the job done...wherever, whenever! You like to be yourself, own your style - wherever you are, right? So why should work restrict you? Max Fashion's The Workwear Collection has just the right ensembles for your work day - trendy but not OTT. Pick Western wear outfits from the 'Timeless' section or Indian ensembles from the 'Indian Workwear' section - go with your mood for the day! There's a bouquet of ideas in the collection that will get you looking forward to Monday, and keep you in top form till Friday! Read on to know more on the right accessories and make-up to complete your look. Summer Fashion Never Had It So Cool! Lounging by the beach or pool doesn't translate to swimwear only - flowy, tropical silhouettes, prints & more... what gives this season? We tell you all! Besides being on-fleek, the choice of outfits promise a carefree vacay vibe and comfort to boot. The range of ensembles from Max Fashion is created to suit your every summer mood (and pocket!). Let your cares take wings, let your hair down - enjoy and bring out your inner zest for life in everything you do, including the clothes that you pick to define you! Seasons in the Sun: Hit the Cool Vibe this Summer Vacay! Beat the heat with some smart tips, and chic tropical prints and vibrant nature motifs for your wardrobe - an instant summer perk-up. Choose fun tees, and pair them up with trendy shorts, denims or ripped trousers for that #instacool twist. 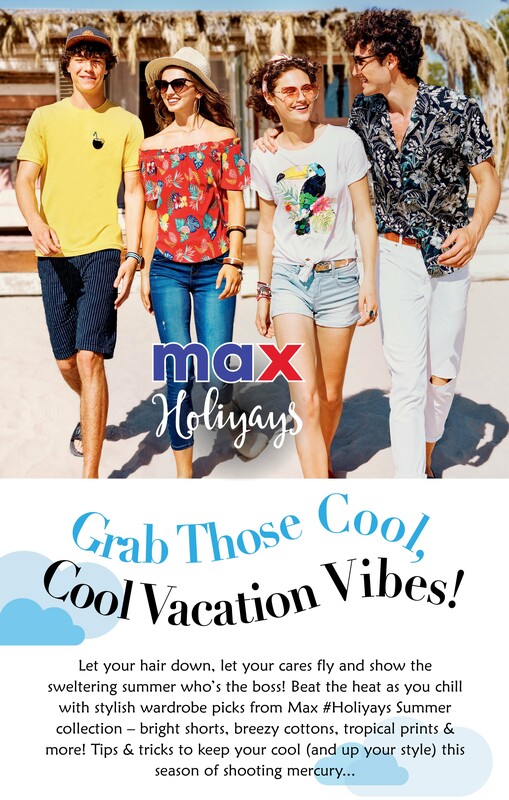 Keep up the soothing vibe, even when the sun is all scorch and swelter, with the Max #Holiyays Summer collection. Add shades, straw hats and glam bows to up the cool factor. You know it’s time to say goodbye to those heavy jackets and monkey caps when Holi is just round the corner. This festival marks the beginning of summer when you can finally bring those long-lost yellows and pinks back in your wardrobe. So why must your Holi look be the all-white look? This Holi, ditch your worn-out clothes and bring out your colourful avtaar. Let MAX inspire you to celebrate the festival of colours with a brand new multi-hued and vibrant wardrobe. The best thing about being a little girl is the big joy you can get from small things – especially when the small things are sparkly! Go for shimmer, go for shine! 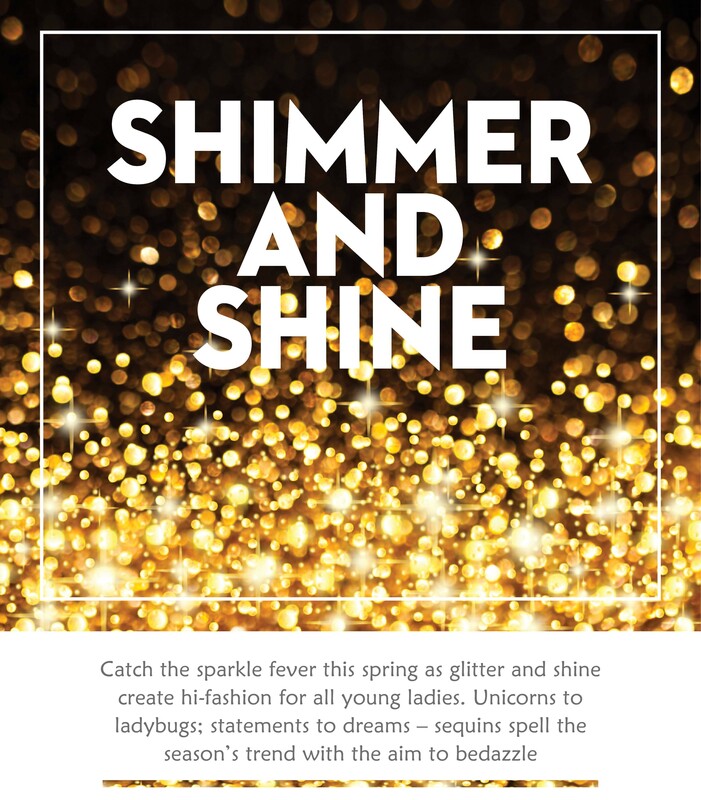 Bedazzle your precious little princess this spring with a wardrobe makeover from Max that will make her smile sparkle brighter than all the diamonds in the world. Comfy and chic, joggers are here to stay! It had to be said! Joggers are the new jeans in the world of casual fashion. Stylish, comfortable and versatile - they can go to work with you and transition effortlessly into club wear. 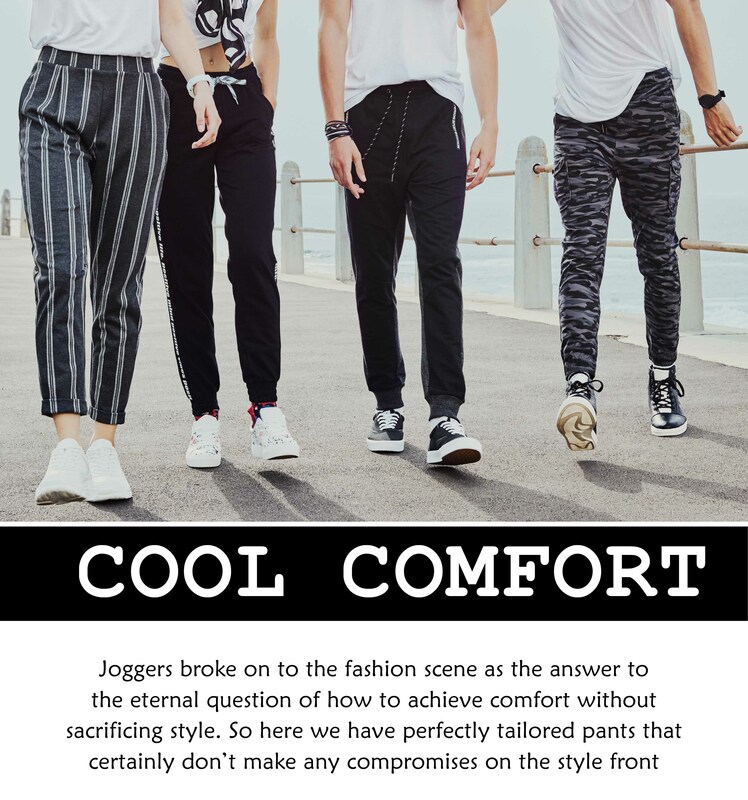 Joggers have truly evolved from exercise or gym wear into the world of fashion with the advent of newer materials and styles that speak the language of the millennials. YOU are your perfect fashion icon! 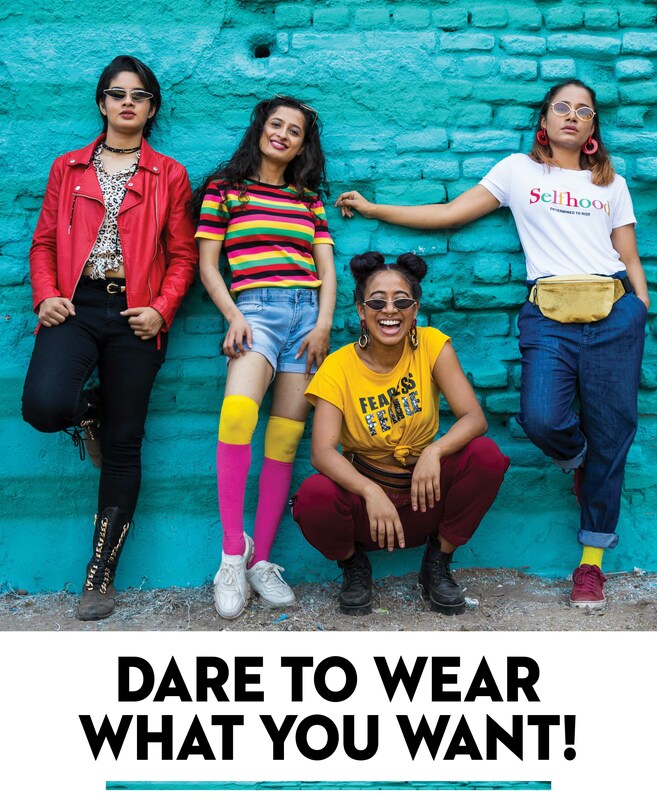 Don’t let stereotypes define what you will wear…. Being dusky doesn’t mean that you can’t wear pastels, being at work doesn’t mean you need to stick to staid solids… Centre your inner diva and hear her shout! Let your voice come through in your look. Let your personality speak. Your fashion voice is the only one you need to listen to. Be your own fashion icon! Whimsy, quirky, colourful and so much fun! It's time to shed off the layers of jackets and sweaters while being able to wear long sleeves and dress lengths. Choose light fabrics with whimsical prints and patterns. Loose and comfy pants in colourful prints are another great option to welcome the sunshine. Celebrate spring with frolicking rabbits and other woodland creatures, graceful swans in sky blues, and glittering marine life and aquamarine hues. Shoes, belts, bags & more... accessorise right this spring! 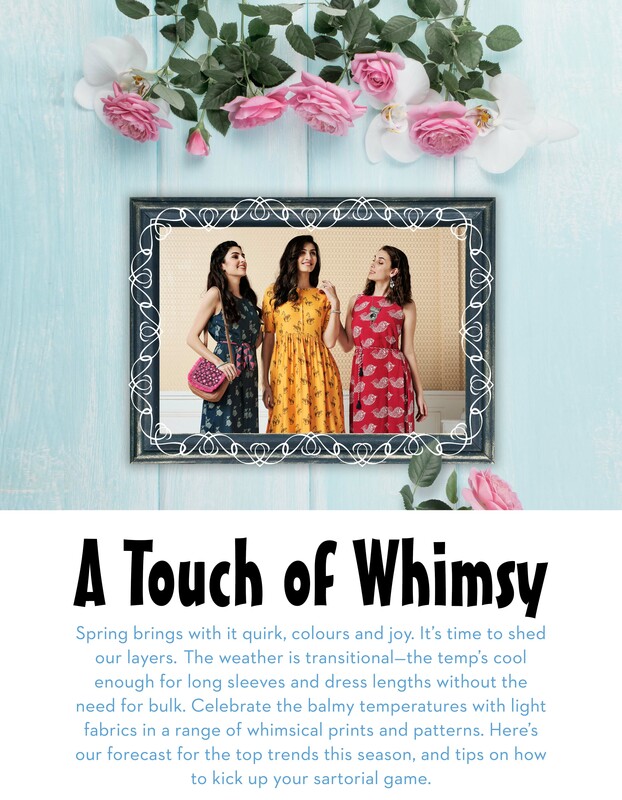 Spring is in the air, and you should celebrate with lighter colours of the shade card, and whimsical prints and patterns. As the season changes, what better way to quickly and easily upgrade your look than investing in accessories? A new bag, pair of shoes, wallets or belts can really switch up your look. Protect yourself from the newly abundant sunshine, and look good while doing so, with pretty printed scarves and baseball caps. Bring in quirk with a cute, patterned laptop case and matching wallet. Ever wondered what makes you and your Valentine tick? Take our quick Q n A that promises to reveal some less-known secrets, including your tastes in clothes, and what that says about your compatibility. You also get to discover some simple ways to make all your differences work in your favour! And once you’re done with quizzing, go ahead and indulge in some therapeutic shopping. Be it styles that take you into fantasyland, couple tees that make a statement, or the perfect nightwear, you can buy them all for each other. So couple up and splurge this V-Week!